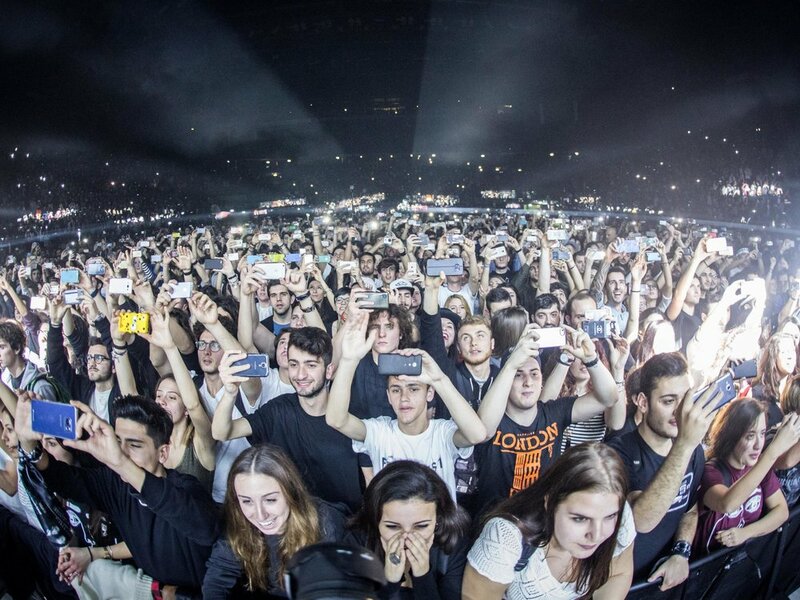 It is crazy how much even in the past couple of years how much people use their phones at concerts. From the minute the lights go dark and the music starts playing, every other person in the venue has their phone up and ready to record the band coming on the stage and playing their first song on the set. I promise you, the opening song is never the best time to record, especially with 300 phones filming right in front of you. You don't need to record the whole concert. We live in a world that is normalising having your phone in people's faces and trying to get them to look into your camera instead of trying to have an actual moment and look into your eyes. Billie Joe Armstrong says, "If you're looking at me through your phone screen, you're not looking at me." Not only is it ruining your experience, but its ruining the people's around you. No one wants a phone in blocking their view--or my favorite is when people taking pictures above their heads but their arms get tired so they lean their arms on my shoulder, or even the top of my head! Don't get me wrong, I almost always take pictures and a couple videos of some of my favorite songs to look back at but don't go overboard. I promise you will never go through 40 videos of one concert. You maybe look at them the next day to show your friends or post some to your social media pages and then after that, you'll be lucky if you look at 2 or 3 of them again. None of your friends of Snapchat or Instagram care as much as you do being at the show, so don't let your Snapchat story or getting the perfect Insta post dictate your night. Enjoy the show with your own eyes, I promise its much more fun! Don't waste your night on your phone. You paid to be there and you wanted to see a live show so live in the moment and enjoy the experience first hand instead of later trying to relive it through the blurry pictures and videos on your phone later on.